In the past 12 months, Clearview have added our aluminium bi-folding doors to more and more conservatories than ever before. With homeowners looking to take advantage of natural light, great efficiency ratings and provide that seamless transition between the garden (which inevitably they will be losing some space from) and inside living, they are a great accompaniment to help increase the usability of their home. There are many reasons why more people are considering conservatories with these aluminium door options which include the housing market changes, as well as people looking to add more space to their family home without compromising on natural light. 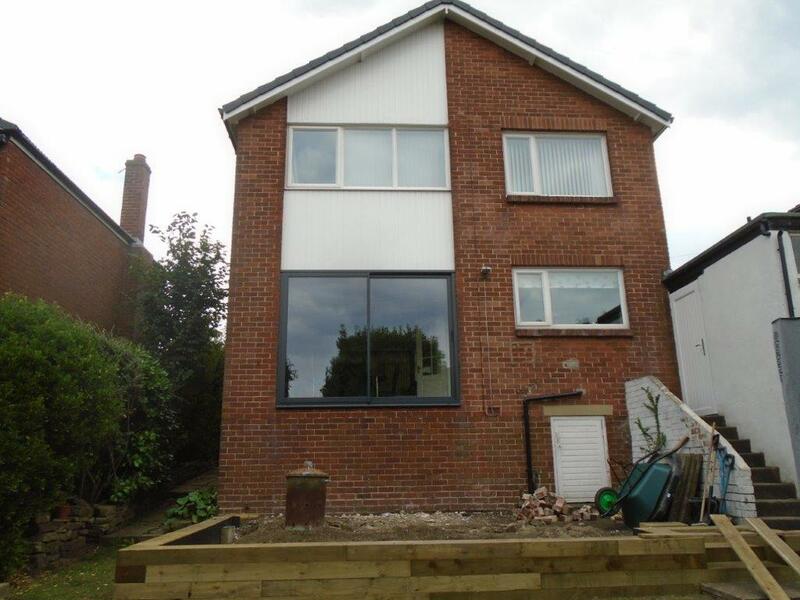 Mr Oldham contacted our team as he was in the process of adding a one floor extension to his family home and wanted to still be able to see the great views out the back of his property. Upon speaking to him and sitting down to arrange a full project brief, it was agreed that Beaufort’s bi-folding door option would not only provide everything he needed, but also allow him to take advantage of additional extras. The five pane design slides to the left (looking into the house) to take advantage of the sunlight. 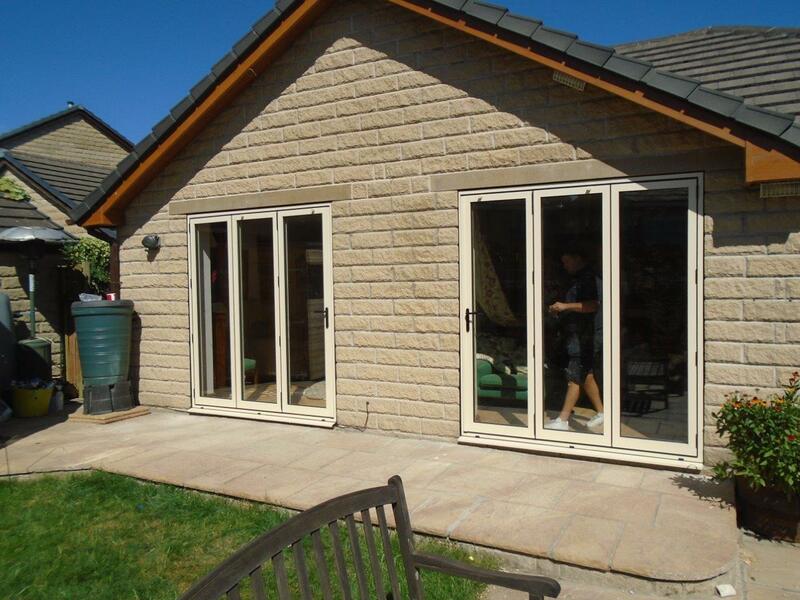 Such is the arrangement of bi-folding doors, you can, via the concertina effect, open up the whole space, pr part of the space which can be great for retaining inside temperature if you require. The total space is around 4.8m and the panes are 80cm in width, near the maximum size for bi-folding doors. All the glazing is high efficiency glass and comes with great energy saving qualities, allowing for internal heat retention in the winter and a repelling action in the summer to help keep the conservatory a cool space. Despite the large quantities of glass, security is not compromised with all aluminium bi-folding doors passing stringent safety tests. All doors come with locks that are Anti-Bump, Anti-Pick, Snap Secure, and Kitemarked as standard, a feature which sets us apart from other companies. 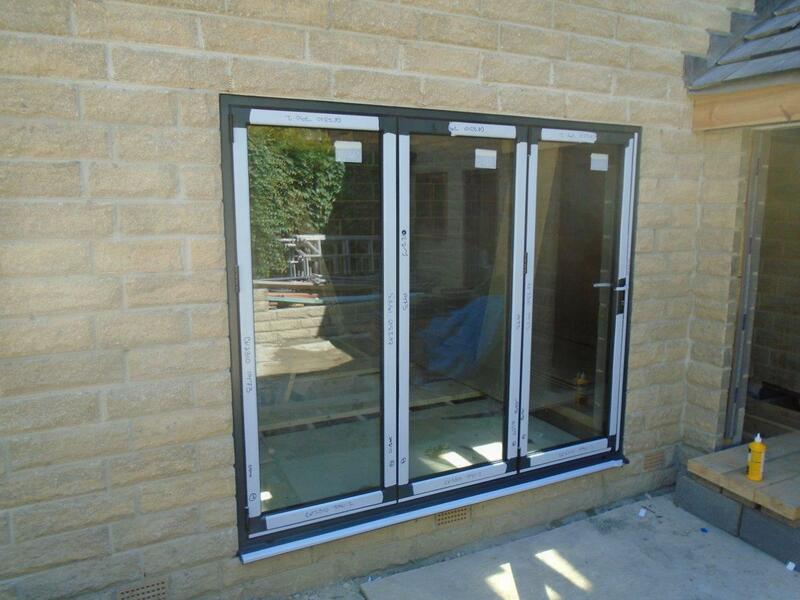 The final result means you can have great security whilst also maximising the open space available within your home. Should you be one of the thousands of people adding a conservatory to your home, or be looking to make home improvements, look no further than aluminium bi-folding or sliding doors to provide the final wow factor. With great prices, quick manufacturing and much more, Clearview can help turn your house into your dream home today. For more information, please call us on 0800 1357167 to speak to one of our specialist team.